Fabric Supplies & Upholstery Services is a small business located in the scenic area of the Southern Highlands, NSW. The owner Carlos Rodrigues prides himself on professional workmanship which he has learnt since the age of 14 in the small town of Sintra, Portugal. 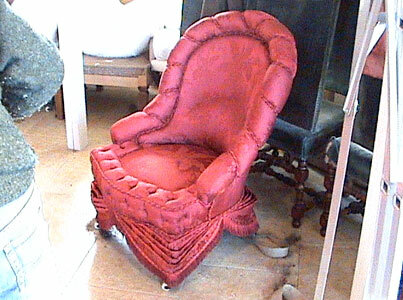 Throughout the years Carlos has refined his skills in traditional upholstery, by incorporating years of knowledge and experience, but also by studying the various era’s and the techniques required to re-create authentic furniture. By traditional upholstery, he means just that. 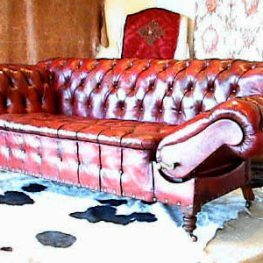 He employs traditional techniques, methods and of course materials which are sourced globally. 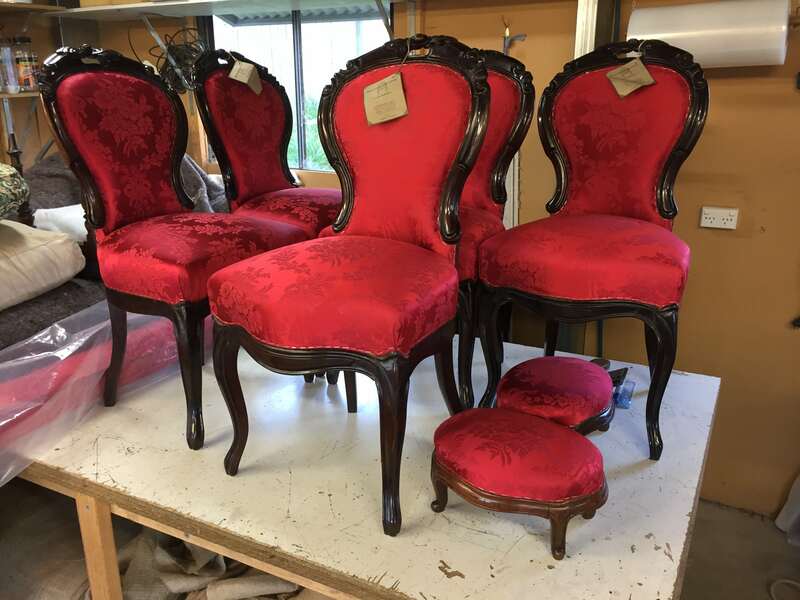 All of which have been approved by the The Historic Houses Trust, when Government House enquired about Provincial Upholstery’s craftsmanship to restore the antique furniture in the ‘Drawing Room’ for the 2007 APEC meeting. 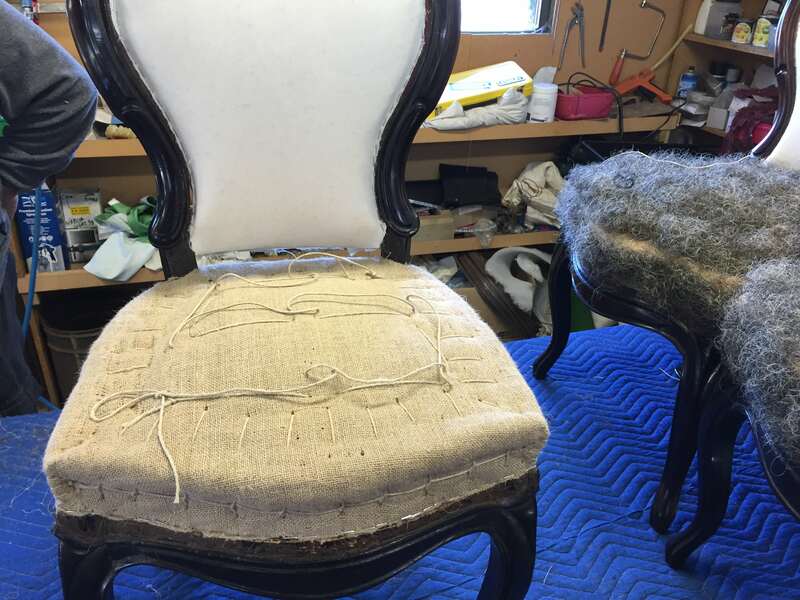 That has led to an ongoing work relationship between Provincial Upholstery and Historic Houses Trust. As with any successful business, one must adapt to the demands of the market, so Provincial Upholstery also provides exceptional upholstery for contemporary and Art Deco furniture. To cater for all tastes and budgets, often clients are provided with a quote outlining both styles of craftsmanship. Their most recent expansion has been the launch of their fabric store, with their own current fabric lines as well as providing thousands of meters of fabric that have been discontinued by notable fabric houses. 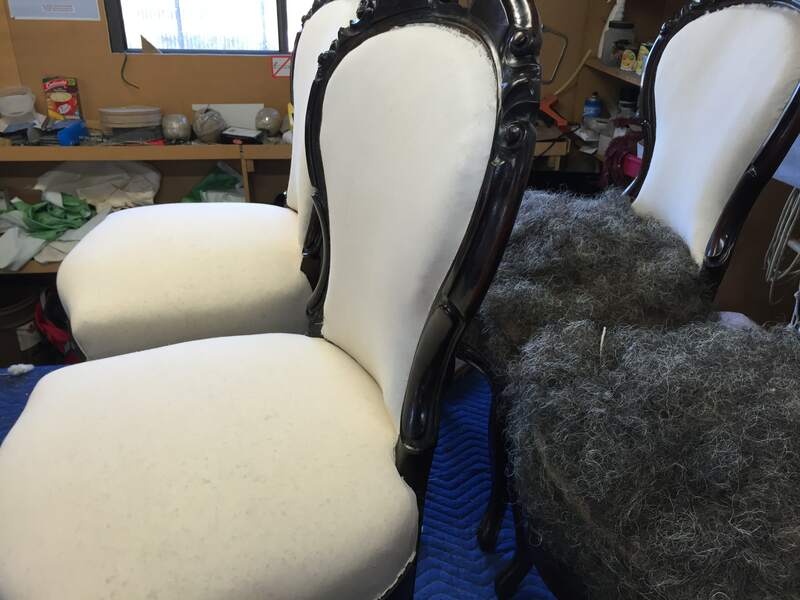 By only accepting quality discontinued fabrics, Provincial Upholstery is able to sell gems such as embossed silk and mohair velvet and rustic 100% linen at a fraction of its original price. The only gimmick is that being discontinued, once its gone, it’s gone. The manufacturers are no longer making that particular colour/design. 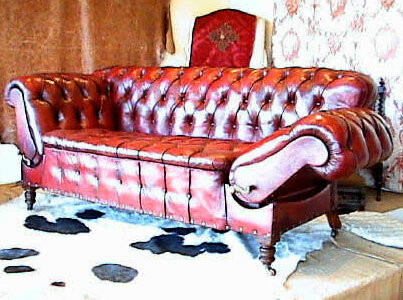 The Chesterfield is from the early nineteen hundreds and was used as both a sofa and a day bed. At the front you will see the mechanical brass handles used to position the arms at different angles. Provincial Upholstery designed and made replacement handles for this project. At the end of 2006, I was approached by Ann Toy and Robert Griffin, Curators for The Historic Houses Trust, Government House, Sydney to re-upholster the antique furniture in the drawing room for the APEC meeting. I was honored to use the skills that I had learned from a young age in Portugal and use it for such an important meeting that was going to be held in Australia. 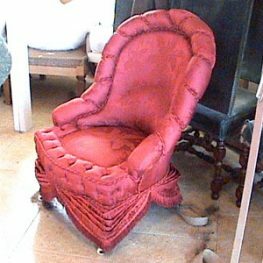 The Napoleon III chairs and sofas had an amazing history behind them when they were first upholstered. I never though that in my life I would ever get the chance to do something like this or be approached by a ‘group’ that cared for antiquities the same way I did.